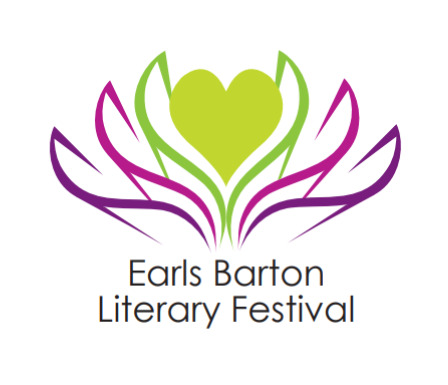 The Earls Barton Literary Festival is back for a third consecutive year! As a ‘festival within a festival’ we are very pleased to be part of the Earls Barton Village Festival programme for 2019. For 2019 we are delighted to welcome back some old friends and some new one. We are looking forward to the banter from Bernie Keith and Andrew Radd who will be opening the festival and we are thrilled to welcome Tricia Stewart who will be sharing her unique experience as one of the original Calendar Girls – Miss October. As a tribute to Tricia and to great starting point to get us all in the mood for a fabulous weekend we will be showing the Calendar Girls film in the Methodist Chapel. Although this film showing is a free event, put on by the Friends of Earls Barton Library Film Club (donations welcome) – it is essential to obtain a ticket. New for this year is our ‘Festival within a Festival’ the Writers Workshops. Come along to these 4 workshops to explore your own writing. Also new is our pop up book shop, which will be found in the library where you can purchase books, meet the authors and performers and maybe even get the obligatory selfie! Back, by popular demand, James Hornsby will bring our festival to what promises to be a memorable close with his version of Oliver Twist. Again this year we will be utilising lots of local venues, including lots of crime going on in the Conservatory at Jeyes! Check out the programmes of events page for all the details and book your tickets in plenty of time to avoid disappoint – tickets will be on sale soon (watch this space for ticket release date).